This entry was posted in art, ceramics and tagged ANDERSON RANCH, ceramics, clay artist, clay sculpture, Colorado Artists, Colorado Clay, Harvey Meadows Gallery, Michael Warren Contemporary, paper clay, Sara Ransford on February 3, 2019 by sara. 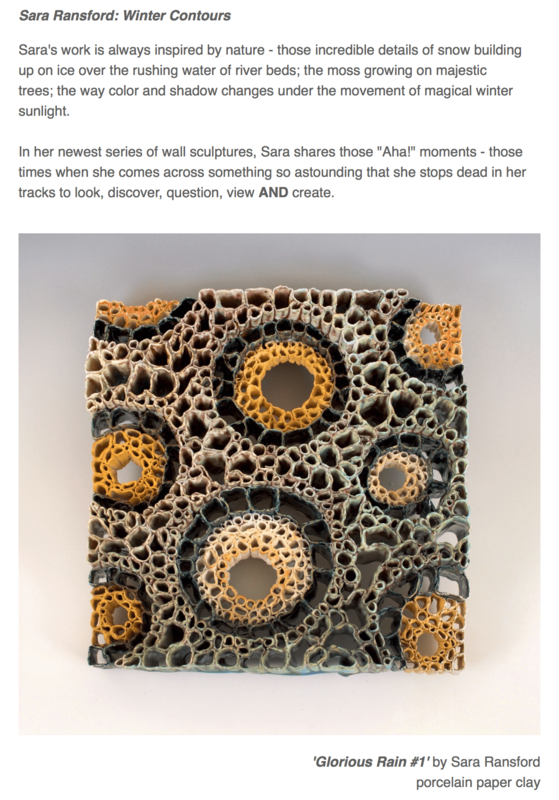 This entry was posted in art, ceramics and tagged ceramics, clay artist, clay sculpture, Colorado Clay, Doug Casebeer, Harvey Meadows Gallery, Michael Warren Contemporary, paper clay, Sara Ransford on January 17, 2019 by sara. 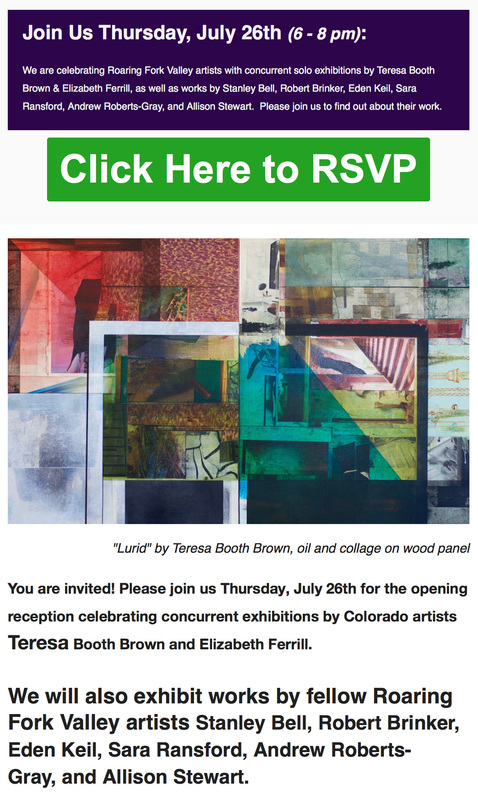 This entry was posted in art, ceramics and tagged clay sculpture, Colorado Artists, Michael Warren Contemporary, paper clay, Roaring Fork Artists, Sara Ransford on July 21, 2018 by sara. 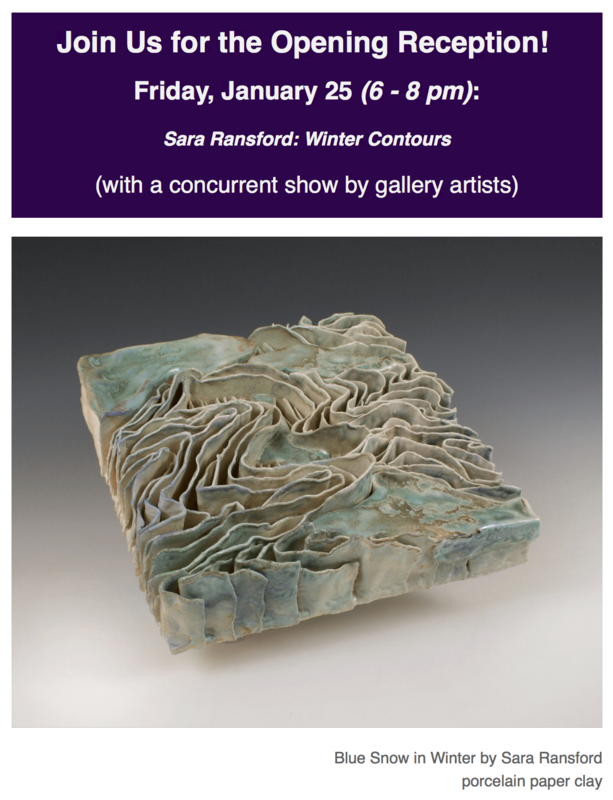 Please join us this Saturday for a tour of the current exhibit and discussion with Sara Ransford about her ceramics. 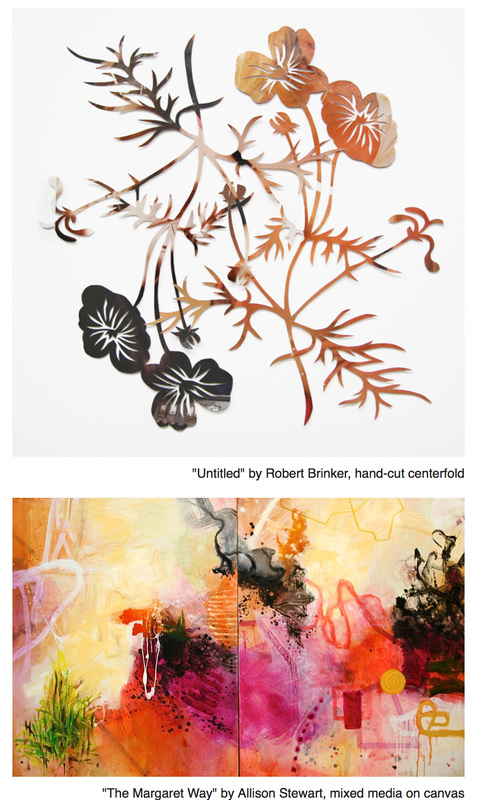 This Saturday Sara will lead us through her current exhibit at the gallery and describe her latest series of works. She will talk about her organic forms and about working with clay. Ransford lives and works in Aspen, Colorado. 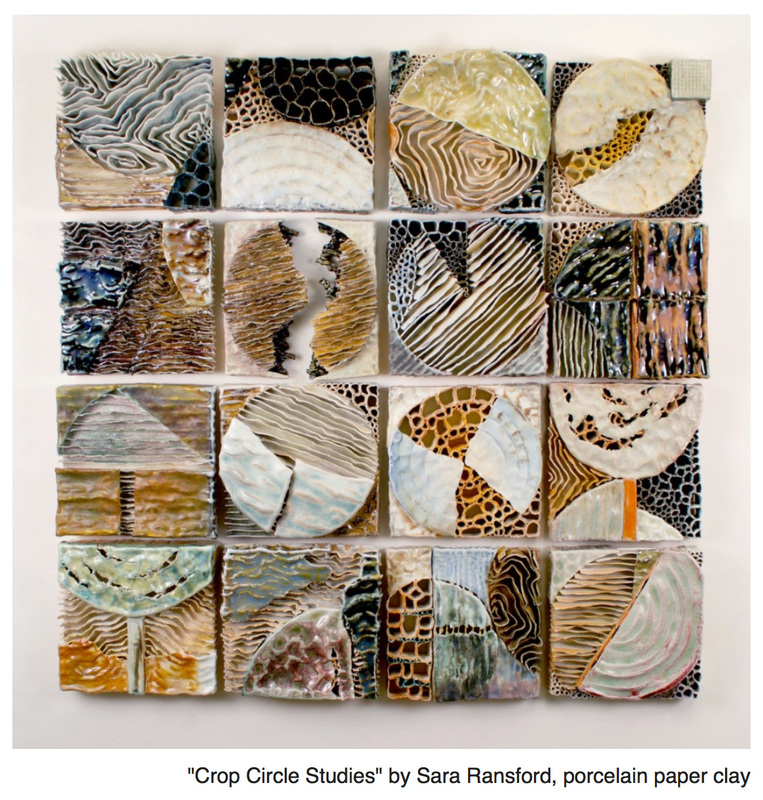 Sara Ransford received her BFA from CU Boulder (1984), where she studied under Betty Woodman and Anne Currier. 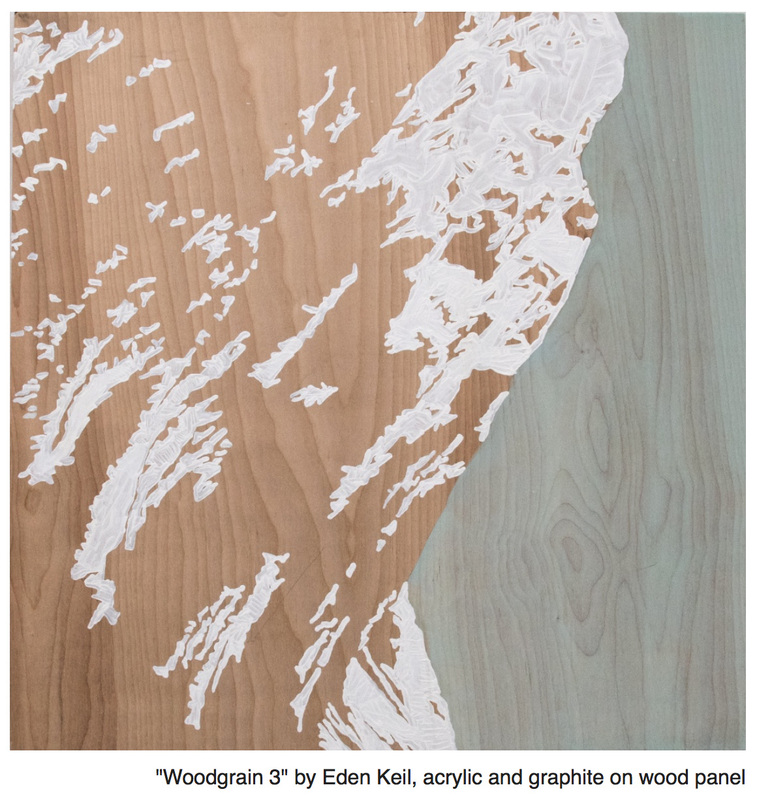 She has been an artist in residence at Anderson Ranch Arts Center in Snowmass Village, CO and has also taught workshops there and across Colorado. In 2001 she attended Alfred University, and in 2011 was awarded The Red Brick 2011 Artist Tribute from red Brick Center for the Arts. She shown throughout the region at art centers, galleries and museums including the Aspen Art Museum, Arvada Center for the Arts, Harvey Meadows Gallery, Michael Warren Contemporary, Anderson Ranch Arts Center, San Angelo Center for the Arts, Western Colorado Center For The Arts, Las Cruces Museum of Art, Evelyn Siegel Gallery, and the Foothills Art Center. For information about the current exhibit or other art at the gallery, give us a call and we will be happy to help you. 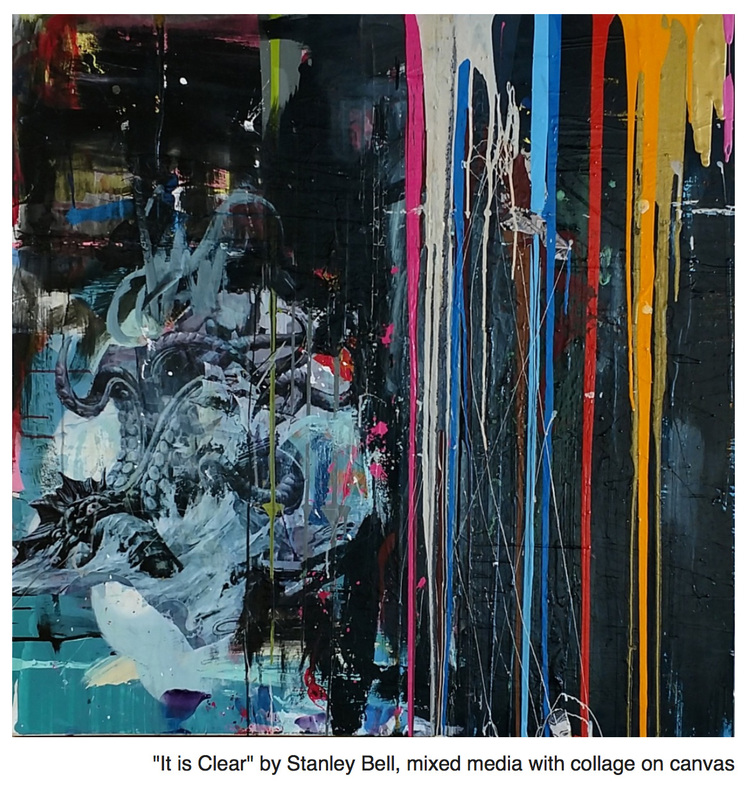 Michael Warren Contemporary is the premier contemporary art gallery in the Arts District on Santa Fe. 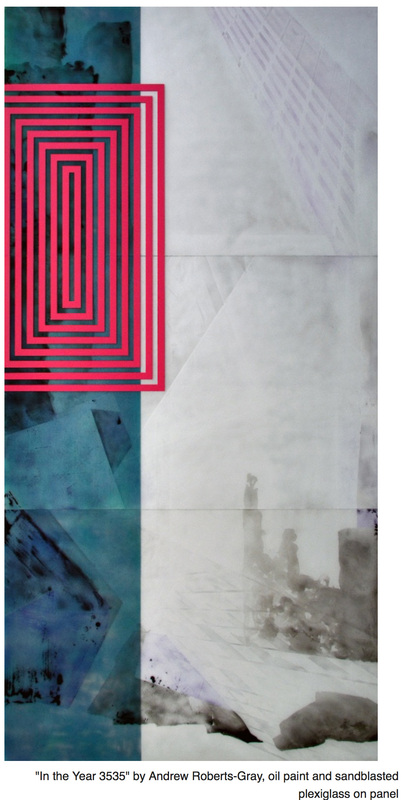 Our gallery provides one of the largest bodies of salable art in the city. This entry was posted in art and tagged ceramics, clay artist, clay sculpture, Colorado Artists, Colorado Clay, Michael Warren Contemporary, paper clay, Ransford, Sara Ransford on July 21, 2016 by sara.